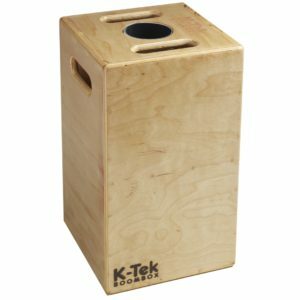 K-Tek is proud to announce the addition of the Boom Box to their audio product lineup. Designed by professional Boom Pole Operator William Munroe, the Boom Box was created to fulfill a practical need on set. K-Tek also makes the new Sidekick KTA2B, a more compact solution to connect wireless transmitters to K-Tek Klassic Boom Poles. 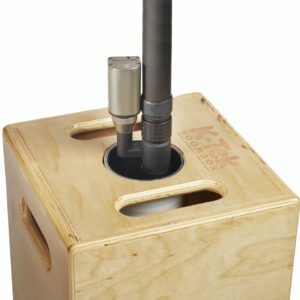 The new KTA2B Sidekick not only plugs a transmitter into the bottom of an audio pole, but also takes up less room, making it ideal for use with the Boom Box. Due to the modular structure of K-Tek’s Klassic boompoles, switching to the Sidekick is a breeze. The KTA2B Sidekick module is listed at $125. The multi-functional Boom Box boomstand is listed at $185.